So this is the reason I haven’t been blogging as often as I used to. That plus the holidays, and finals, and well, just plain life. But mostly because I ventured into the world of Network Marketing. So I want to tell you about my foray into Network Marketing. Now, mind you this wasn’t my first time entering the NW world. Back in the 90’s I stumbled onto another one (that shall remain nameless) via my boss in the Navy, and gave that a whirl, but it really didn’t pan out for me. I don;t really remember why, although what I DO remember that I really didn’t like about it was all of the secrecy surrounding what we were doing. For example when you wanted to pitch the business to a “prospect” you couldn’t tell them what kind of meeting they were coming to see, like we were afraid to mention the company. And when we did get someone to attend a meeting it was an hour long sales pitch that didn’t mention the company name until already 30 minutes into the presentation. I just felt uncomfortable with all the secrecy and after a couple of years I let my business license lapse. In 2004, I was about to retire from the Navy and I was invited to a “party” one of my friends was having. It was a company called Arbonne, and they had skin care and body care products. I went to the party because I was friends with the hostess, and I wanted to support her business.I went and wanted to buy something to help her out. I had just started experiencing some symptoms of perimenopause and I saw a cream in the catalog that was supposed to help with them. I bought it completely expecting it NOT to work, and I was shocked when it actually did. Since I wanted to get a discount on this product because I knew I would continue to need it, so I went ahead and became a consultant with Arbonne. Now I will say that things were very different in Arbonne in 2004 than they are now. We didn’t have all of the products that are available these days, and of course we didn’t have the internet the way we do now, and it was definitely more difficult to do a NW business, but somehow we all managed. I was somewhat successful building my business, but then I had a traumatic personal event, and I stopped building my business, but I kept my business license for years. Finally about three years ago I let my license lapse, and didn’t think much about it. Then two years ago I was invited to an Arbonne event here in my neighborhood and went. 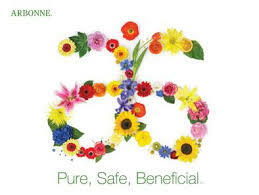 I still loved the products and in the back of my mind I still wanted to be an Arbonne consultant. I went ahead and signed back up with my friend Donna who invited me to her party that day, and started purchasing the products again for myself and my family. My focus was a little different this time. I had recently switched over to organic foods and organic body products, and Arbonne’s vegan, botanically based products fit into my life even more than ever! I didn’t purchase every month, but when I did I was always happy with the products! I LOVE being an Arbonne consultant. What keep me motivated about the company is their compensation plan. It is fair to me. I DON”T get paid to recruit people. I only get pad AFTER I have taught and trained someone to be successful. I like that! People I sign up can easily pass me and make more money than I do. I think that is fair and I like that. The Network Marketing business model is awesome, but if you are interested in any network marketing company I would urge you to research them and check out their compensation plan, their promotion ability, bonuses, etc. I LOVE the fact that I am in a company that has VEGAN, GLUTEN FREE, and KOSHER products. That we are a cruelty free company and DON’T test on animals. That our products don’t contain mineral oil, parabens, phalates or artificial dyes and fragrances. I have been in the skin care business for over 10 years, and I have always believed in botanically based products, and Arbonne products fall into line with my own beliefs about products, teamwork, and empowerment of people perfectly. Please feel free to ask any questions you have. If you want to try our products I am happy to send you samples. I believe VERY strongly in trying before buying so you don’t waste even a penny of your hard earned cash. This is what I am doing now for a living, and I am now loving what I do and doing what I love, as opposed to just punching a time clock and trading time for dollars….